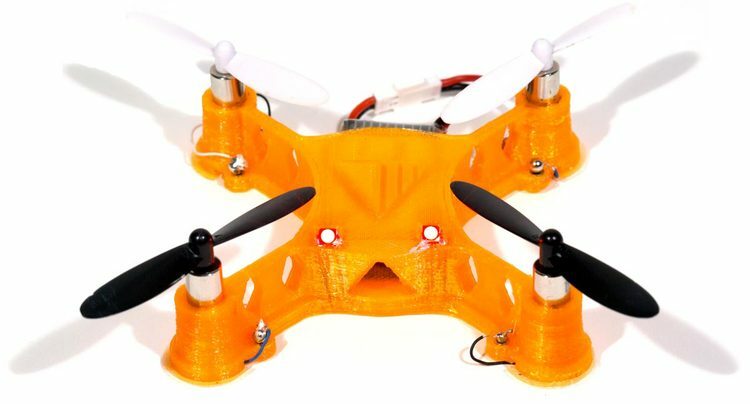 Home3D Printed Electronics – the next disruptive technology? 3D Printed Electronics – the next disruptive technology? A method of printing a 3D functional part comprises, according to another embodiment: forming one or more portions of a 3D structure using a 3D printing method; positioning at least one functional electronic device on an exposed surface of the one or more portions; and forming conductive interconnects to and from the at least one functional electronic device using a 3D printing method. The method may further comprise, in some embodiments, forming one or more additional portions of the 3D structure using a 3D printing method. The one or more additional portions of the 3D structure may at least partially cover the at least one functional electronic device. The method uses a printer with at least 2 printheads so that you can co-print both a matrix material and a conductor. Electronic components can be manually inserted while the 3D printing operation is temporarily halted and then overprinted to embed the device. One of the advantages of a direct write printing action that can move in all three axes is that the functional electronic devices can be orientated at any angle in the 3d structure and the conductive filaments are not constrained to a planar pathway as is typical of PCB boards. The reader can refer to the patent application for more details of the materials for the matrix and the conductive inks but better still I refer you to the spin out company Voxel8 that plans to release this 3D printed electronics platform towards the end of 2015. The patent application has a priority date of 24 June 2013. This is an impressive time from filing the technology to a commercial device. The first announcement of the 3D printer was made at CES 2015 back in early January. Their promotional website can be found here. I have included an image of the printer along with one of the devices made on it. 3D printing continues to be an exciting area with many opportunities for prototyping and with the improvement in print heads and materials the devices are becoming more robust to the point that 3D printed components are now as good as their traditionally made counterparts. The technology described here allows embedded electronics to be included in the 3D printing process. 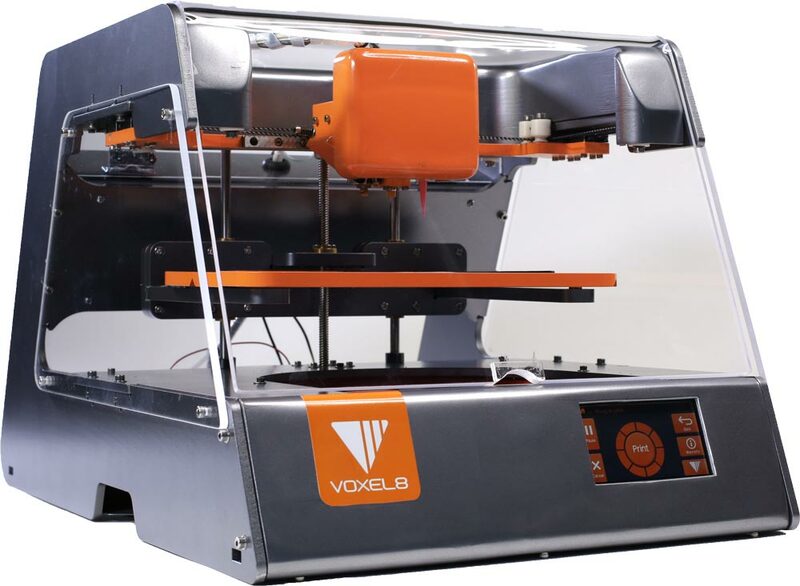 Voxel8 will leverage ink designs from the Lewis research group, including those that enable 3D printing of resistors, dielectrics, stretchable electronics and sensors, and even lithium ion batteries. I expect to see a significant number of patent applications emerge as part of this patent family and then further new applications as the materials and processes are developed. I would like to thank Arthur Berman who contacting me for an opinion on this technology which then prompted me to write the article.